Home > Addiction, Drug Abuse, Drug Addiction, Drug Laws, Drug Testing	> Can Massachusetts Drug Courts Help Stop the Opiate Crisis? Can Massachusetts Drug Courts Help Stop the Opiate Crisis? It’s no secret that Massachusetts is experiencing an opiate crisis. Every community is impacted by this widespread drug abuse — even our children are feeling the results of opiate use. Now, public safety officials across the state are turning to special drug courts to handle the opiate crisis. In fact, the number of people processed through drug courts has nearly doubled thanks to the opiate crisis. Officials are hopeful that this process will stop the epidemic. How do Massachusetts drug courts work, and how are they helping address opiate abuse? Here’s what you need to know. In a drug court, judges hand down sentences such as mandated treatment or regular drug testing if addiction is identified as a cause of criminal action. In Massachusetts, most drug courts are around Boston. 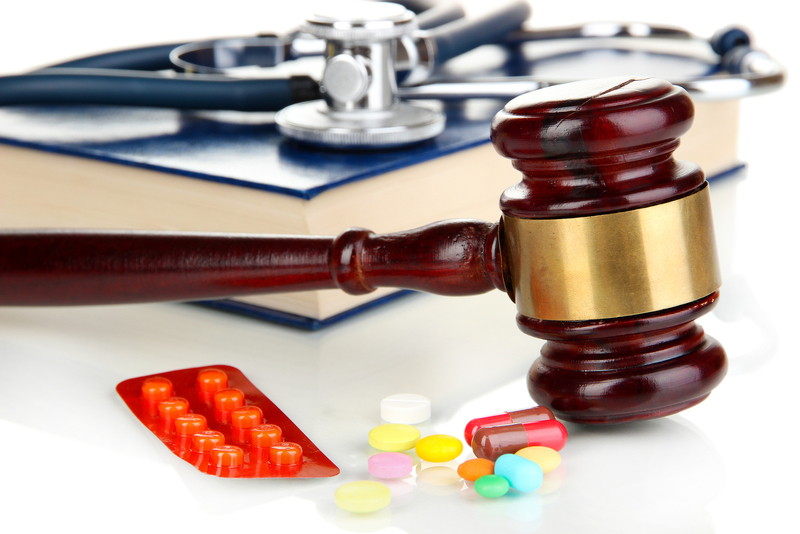 Five new drug courts are set to open in the next year. The widespread opiate problem in our state — include abuse of prescriptions like Vicodin or OxyContin — was cited as the reason for this expansion. After treatment and drug testing is mandated, judges and probation officers monitor each offender to make sure that they’re following their sentence. Usually, the program lasts 16-24 months. Offenders are scrutinized more carefully at the beginning of their enrollment, reporting to court each week. The frequency decreases as they move through drug court until their program concludes. Across the United States, 75% of drug court offenders remain arrest-free 2 years after completing the program.Officials say the success of the program hinges on offenders seeing the same judge regularly. The more they feel the judge is invested in their success, the more successful they are. Also, the program is more effective when probation officers work collaboratively with the offenders to achieve goals. Public officials say this is an effective means of processing offenders because it actually helps criminals who are struggling with substance abuse, addiction, and mental health issues, enabling them to become productive citizens rather than returning to their old ways. The Massachusetts Probation Service estimates that over 80% of offenders in the probation system are grappling with some type of addiction. 70% of these offenders quit their treatment early when left unsupervised, highlighting the need for a more structured program like drug court. Though drug courts can be more time consuming and emotionally charged than the traditional justice process, officials say it can save money and make room in jails for those who truly need incarceration, such as violent criminals. Drug courts aren’t just beneficial for offenders, too — in addition to helping drug users become more productive members of society, they can also save taxpayers money. The Massachusetts Probation Department estimates that every dollar spent on drug courts saves $3.36; this figure increases to $27.00 when reduced victimization and heath care costs are included.reness and education to local residents. Clearly, the combination of drug testing and abuse treatment programs is proving effective against the Massachusetts opiate crisis. ARCpoint Labs of Worcester is proud to provide drug testing to employers and individuals who want to help curb drug abuse in their workplace, home, or community. To learn more about our drug testing services in , call (774) 314-9551 today!